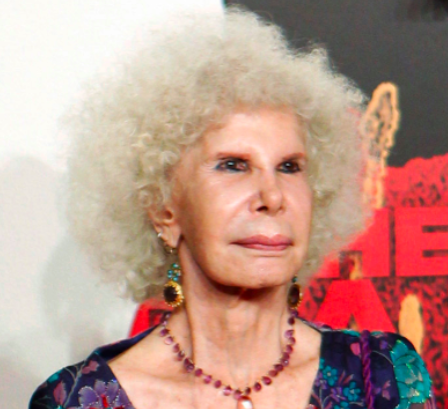 Spain's 18th Duchess of Alba is giving away her personal fortune so she can marry a Spanish civil servant, 25 years her junior. With thousands of acres of land, a priceless art collection and a dozen castles the personal estate of 85-year-old Duchess – one of Spain’s richest women – is thought to be worth between €600 million and €3.5 billion. Her eldest son Carlos Fitz-James Stuart , 63, is set to inherit the Palacio Liria in Madrid and the Monterrey Palace in Salamanca, and will gain control of the family fortune, according to Spanish newspaper El Pais. But much of the estate is owned by the state, and cannot be sold. The father of her children was Luis Martínez de Irujo, son of the Duke of Sotomayor, who died in 1972. In 1978 she married former Jesuit priest, Jesus Aguirre y Ortiz de Zarate, who died in 2001. Plans of a wedding to her current love, Diez, 60, were called off in 2008, following an alleged telephone call from the King ‘discouraging’ the duchess from marrying him. As head of the 539-year-old House of Alba, Maria del Rosario Cayetana Alfonsa Victoria Eugenia Francisca Fitz-James Stuart y de Silva, has more titles than any noble in the world, according to Guinness World Records. Among her privileges are having the right to ride on horseback into Sevilla Cathedral and not having to kneel before the Pope. The Duchess is a distant relative of King James II, Winston Churchill and Diana, Princess of Wales. Billionaire's Grand Prix Party in Monaco!Video!